Ancient Aliens: NASA Accidentally Shows Uncanny Evidence Of Life On Mars And The Moon? Aliens have fascinated humans for centuries and probably millennia. And the recent evidence of an ancient UFO in the form of a 250,000-year-old artificial piece of aluminum seemed to indicate that there might be some truth to the hypothesis that extraterrestrials visited Earth hundreds of thousands of years ago. That also raises the following question: Did the ancient aliens also visit or inhabit other planets and moons, including the planet Mars and Earth’s Moon? And if they did, is there proof of this? To start off with, the most recent pieces of evidence, the discovery of a “lost shoe” on Mars a few months ago, indicates extraterrestrials might have inhabited the planet. Seen in pictures sent by NASA’s Mars Opportunity rover in August, the shoe was found close to a crater. You can check out the picture here. 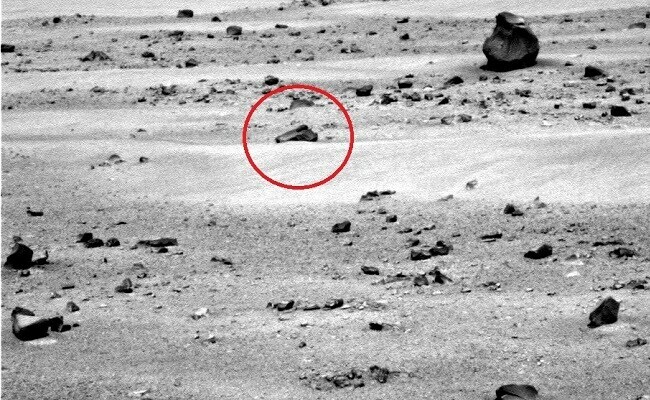 According to alien-spotter Scott C. Waring, the shoe confirms the existence of creatures on Mars. The following was his exact statement in relation to this. According to the Mirror, another picture of the skeleton of an apparent alien being was pinpointed by alien-spotters in July this year from images sent back by NASA’s Curiosity rover. You can check it out here. The image, which was released by Paranormal Crucible, seems to reveal the skeleton of an extraterrestrial embedded in a rocky surface. The channel highlights the following below the video. In 2014, NASA’s Opportunity rover also sent back a controversial image that seemed to show a gun lying on the ground on the Red Planet. You can find the image here. This seems to indicate that gun technology might have existed on Mars and was used by its inhabitants. 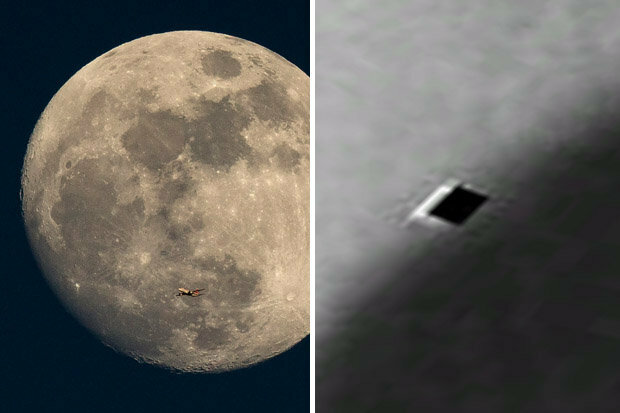 On to the evidence of the existence of aliens on the moon, a trap door was reportedly spotted by alien hunter Scott C. Waring earlier this month. According to his description, it was an almost perfect square in shape and measured 70m x 50m using Google Earth coordinates. You can find the bizarre image here. The following was his statement in regard to this as reported by the Daily Star. That said, recently leaked footage of ancient alien structures on the moon apparently filmed by Neil Armstrong suggests that there might be an alien base on the moon. Leaked audio of Armstrong reporting the presence of aliens to NASA also seems to confirm the idea that there might indeed be an alien base on the moon. The footage was apparently taken during the two and a half hours he spent outside the landing module. The aforementioned controversial pieces of evidence are just a few among the many indicating alien life might have existed on the Moon and Mars. NASA might have inadvertently leaked some of the indicators.